Please note that the order of the transcriptions will be posted as we have them transcribed. We do have a huge backlog but our intention is to post the most current ones first. So they will not be in sequential order as we previously have been able to do. Thank you, Mel and Mike, Walking Terra Christa. What is the Clarion Light Beings ? The Clarion Light Beings is a temple of healing that was started in 2002 after the onset of the Twin Tower Tragedy. 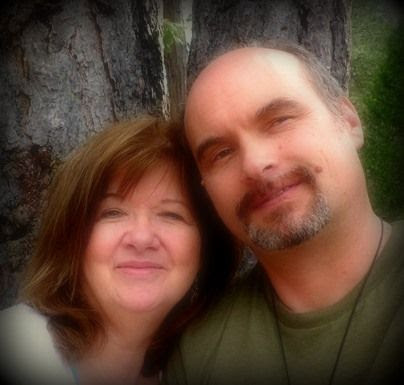 Due to Christine’s connection to the healing of these souls she was asked to start a weekly meditation by Archangel Michael. This group meets weekly via telephone or accessed via Skype to the Conference Line. You may join the calls through our Membership Program on Walking Terra Christa. There is an Ascended Master, Light Being, or Angel that is the speaker for each week. Originially, we brought forth the Cosmic Great Central Sun of Divine Mother and Father God first. We were guided to make changes as the classes were becoming very long. We sponsor the Cosmic Great Central Sun on the 1st Monday of each month. Those messages are available via the Cosmic Oneness blog. The teacher speaks first and then guides the group together to the Clarion Temple of Oneness which resides within the 36th dimensional frequency- Multi-Universe level. We are met by Yamteleus who is the spokes-being for the Clarion Temple (formerly Fred, please ready sorry below). The Angels bring forth a blessing and then the Ascended Being brings forth their teaching, blessings, healing, and attunements. This energy is always then directed onto Mother Earth and all it inhabitants to assist in the awareness of the souls upon the Earth. It has been said that this Temple is the most powerful work that is being doing on the Innerplane level due to the amount of souls that have joined the group and continually participate. The souls are healing on so many levels are many are preparing themselves to return onto Terra Christa, the New Earth in the Golden Age. Following is the story and background of how this all came to be created. This is Christine’s birthing and she takes this work very seriously. There has been great healing that has happened on so many levels and she thanks Archangel Michael and all the souls that continually assist in this process. The Clarion Light Beings of 911 started in March of 2002. I lived in a remote area on a horse farm ,in Atco, NJ in which many energies would come to me in various ways. This one specific evening I heard a voice through my computer speaker saying, “Everything is clear to go ahead.” At this time, I realized I needed to go on the computer and channel some information. This all started immediately right after the Tragedy of 911. I attended a sweat lodge in Long Island, NY one month after September 11th. During this lodge (I have attended nearly 20 of them in the past 20 years), I was leaving my body and accessing knowledge of a different kind. At the end of the 3rd round, I was told by Spirit that I must leave the lodge as my body had become very depleted. As I was about to do so, I was not grounded and fell into the pit which burned my left calf in the shape of a heart. On the outside of the lodge, many came to my aid utilizing energy work. I was extremely distraught but not with pain of my leg, pain of an emotional sort of all of these souls that had been lost. I believe this was an occurrence that needed to happen and I now had the my answers to all my questions. Before I begin, I channel energies of the God Force and Hierarchy from Spirit Guides, Angels, Archangels, and Ascended Masters. I believe this energy will come through to all who want to listen and connect with this energy. My goal through this is to have everyone connect to it so that we can all do the healing from the heavens down to earth and then back again. I have edited some of the content due to the nature of some personal messages. I hope you enjoy reading and feeling the energies as I do. Christine, we come to you in this moment with great news to assist this Earth and thanking you for taking the challenge of opening yourself up to this communication. As spokesperson for the Divine Hierarchy, I AM ARCHANGEL MICHAEL. But I am only the Master of Ceremonies parse. I want to introduce you to a great group of beings who gave their lives on the infamous September 11th tragedies and they have decided to ban together to assist the people of Earth. They are trying to bring forth their communiqué but individually the strength is not strong and you have been chosen in this moment to bring forth their message. They have come together in a group focus to assist this Earth and are once again asking for your assistance. 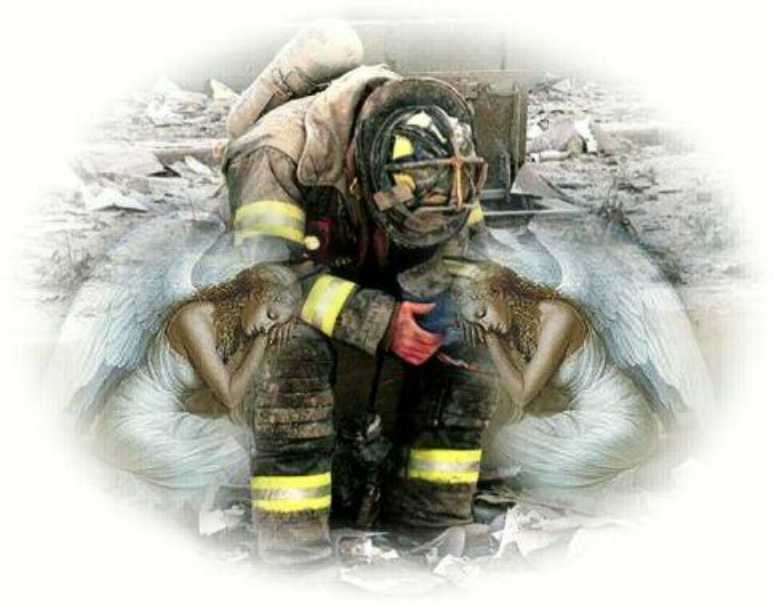 They are comprised of many souls, not just fire fighters, but ordinary people that were lost, and found once again. Coming together as a soul group to help assist this Earth. And right now this assistance is badly needed. This is their story for you. They will not come forth as individual beings because that is not their purpose. Their purpose is to come through in group consciousness because that is where their true strength lies within each of us — with others. I am greatly honored to be the overseeing spokesperson for this group. Welcome them, Christine, as I know you always do. Thank you for receiving the call we are sending to you. First of all, as we speak in group consciousness, please be patient with us because this is a new endeavor although we have been practicing for some time for our arrival into your world. We comprise fire fighters, EMT’s, workers, construction people, office workers, representing all phases of life in New York City. Thank you for accepting our thoughts and changes that assist not only us by you, personally, and all that you encounter. We will call ourselves, “THE CLARION LIGHT BEINGS OF 911”. We bring forth these energies to assist in the Earth changes and exactly what is transpiring in the hearts of America and the World. We have grave concern for your world, but we also have grave concern for the continuance of life. Most of all, we ask that you send a message out to your world. And this message states that love is in the hearts of everyone and we just need to learn how to tap into it. We come as group consciousness so that we can assist you in helping with the healing and prayers of so many in these moments. Our love will filter to so many, our loved ones still on your Earth, your loved ones, and the ones that are in grave danger with the impending war upon Planet Earth. But most of all, we are here to touch the hearts of the leaders of the world. We cannot help if there are arguments or negative reactions so that is not our mission here. Our mission here is to help to open up the love within everyone. What are we asking? We are asking you in this moment to feel our love and we know that you do, but to sent it out to everyone you know and maybe those that you are unaware of in this time frame. You touch so many in many ways on a multi-dimensional level and that is why we have chosen you as a first messenger. There may be others but please take all of this under consideration. We would like to formulate a prayer circle with all sentinent beings who choose to come and join our Circle of Light. We are not all of the souls of September 11th, only the ones who have grown to this point in time. We are the ones that are ready to use our hearts and not our minds to bring forth love, acceptance, and joy to this Earth. We come as the many in any given moment and that is our present mission. This prayer circle continues throughout the Universe. It is our only mission presently. We have no other focus, it is our special project and we would like you to be the leader of this special project. Thank you for becoming part of the Clarion Call because we know just in receiving this transmission that you are the Earth Lightworkers we have been searching for. Now let us continue and tell you what we are trying to accomplish. We ask that you send an email out and create a group mailing list, and add to other mailing lists that you may be unaware of or maybe friends may know of others to add this transmission to the list. We will create a circle of prayers continually for all the beings of Earth centering upon the destruction that is going on presently. It is important to involve as many Lightworkers as possible. As we create these emails, the prayers will be sent through a circle of energy to and fro. We ask you, to set up a time very week to continue to do a transmission of our energies. We feel that we need to connect to all of you on Earth. The beings on inter-dimensional levels are doing their part, the Earth beings are doing their part, but what about the part of us connecting as ONE. You are our Bridge in this Moment. Right now this is our initial transmission. You may include it with others or you may keep it separate. We are going to pick Monday evenings at 8 pm EST to start the prayers. We ask everyone to connect for five to ten minutes at least so that we can unite or if people want to get together and do the prayers that you will send out, that would be even more of a help. We are a group of growing students just like yourself and now are in a position to do something about this disruption of this Earth. Blessings to you for taking this call, and welcome to our Circle of Love. We changed the name of the group to Clarion Light Beings of 911 & Beyond after so many tragedies have occurred in after the Twin Tower Tragedy. Many souls came to me to ask to be admitted to the group and I forward them to Archangel Michael who approves whether or not a soul can join. There is one prerequisite – that a soul is able to come forward without any negative emotions; they must have acquired God Consciousness within and not carry any anger, revenge, etc from the life they just left. If they have not, Archangel Michael will assist them in transcending all elements that hold them back from having their full acceptance of their Beingness within. If anyone has a loved one, friend, etc who would like to be part of the energies, please contact me with their name so we can help them. You can also contact Archangel Michael yourself with this request. The 911 is being kept as it represents a cry for “help” in any circumstance and to honor the souls of the Twin Tower Tragedies which truly were the catalyst for this temple to be built in the Mulit-Universal level. It now encompasses many souls from many dimensional levels including inter-galactic beings of Light. I am very happy now with this beautiful site. Again I am asking my beloved Lord Sananda to help my children and family. I want to participate in the prayers of each Monday at 8 pm EST time. Namaste. If you want to join us physically, we welcome you into our Soul Family of Light.